Many business owners, directors and sales people, use networking as a means of attracting business – but the results can sometimes be disappointing. 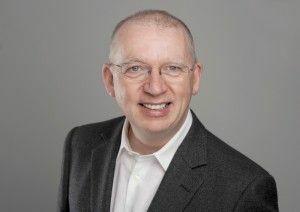 According to William Buist, CEO of Abelard and Founder of xTEN Club, creating a great value proposition addresses this and increases the number and quality of your referrals. A value proposition presents a clear picture of what you do that it is both memorable and referable to others. Start by detailing the core value of your business. Some people express this as a mission statement, others as a purpose or passion or reason that they entered into business. The opening must be both brief and compelling. It should be consistent with your printed materials and website, and yet it also needs to be conversational. The more passionately it is delivered the more memorable you will be. The second element is how you approach working with clients, their experience, how they feel, the reactions that you get. For example a travel agent may say here that our clients leave us wanting to tell their friends not just about where they are going, but how we made sure their holiday is tailored to their needs. They feel a deep sense of excited anticipation. If it is possible to present these in graphical or visual form, then you are likely to create a more memorable recognition of the breadth of your services. For example an accountant may offer annual reporting, tax advice, book keeping, and payroll. As a list it’s hard to remember. A graphic makes things easier. Think about design too, a circle might imply that (for that service) every aspect is covered. A square can imply that the boundaries are well understood, etc. 4. The process you follow. This gives people a sense for how you approach the elements of your business. For example a consultant may start with an analysis phase, then a specification and strategic analysis phase, and finally delivering a change programme in conjunction with the client’s project managers. Include information that adds additional value to clients and which stand you out from the market. This is best done in story form. For example, in periods of high core volumes following a power cut, one electricity company provided additional information by SMS to affected customers. This kind of proactive intervention helps to ensure your message includes the value that you place on customer service. The key element here is; the target market. It is tempting to be generic. However the more generic your target market is the less likely anyone will be able to identify a specific referral for whom you are ideal. Clarity matters here. For example; a culture and change management consultancy might indicate that they “work with successful executives and business owners seeking to exit”. This is a small sub set of people but if any are known in that situation the quality of referrals will be very high. When you get the referral and meet your ideal prospect the pitch has already been partly defined – and then you can clarify further in order to drive directly to their needs. Following up a referral is vital – without follow up you risk wasting the previous six steps. In the absence of a value proposition that is both clearly and relevantly expressed the lack of referrals will be an issue for your business, but in their presence there will be a steady flow of well qualified and relevant referrals that regularly lead to top quality business.